Damage builds up on the skin's surface, creating a dull complexion with fine lines, scars, and spots. At Saman ENT & Facial Plastic Surgery in Plano, TX, dermabrasion treatments remove the damaged and dead skin from the upper layers of the complexion to reveal a younger look with more even, clear complexion that feels smooth and soft. Board-certified, otolaryngologist & head and neck surgeon, Dr. Masoud Saman recommends dermabrasion (sometimes called dermablading or dermaplaning) to his patients who want a quick, effective noninvasive treatment that reduces early signs of aging and improves their skin's health. Dermabrasion is a good option for men and women of all ages who want healthier complexions and to improve the look of small facial scars, fine lines, blotches, and spots on your skin. Since dermabrasion removes the damaged outer layers of skin, your face will feel softer, have a more even tone, and look brighter. Many patients also find that following a dermabrasion treatment, their skin care products sink in faster and perform better. If you have skin allergies, sensitive skin, or frequent fever blisters and cold sores, dermabrasion may not be appropriate. It's also important to know that dermabrasion should not be done if you have an active skin outbreak, like acne, to prevent an infection. Dermabrasion may be done on the whole face or a small area, as well as the neck, chest, and hands. Dermabrasion treatments may also be combined with other procedures offered at Saman ENT & Facial Plastic Surgery such as an injectable treatment or chemical peel for greater rejuvenation. Following your consultation, your dermabrasion treatment will be done in our minor procedure rooms. You can lie back as your skin is prepped and cleaned for the treatment. Local anesthesia is usually given to numb the needed areas prior to the procedure to help you feel more relaxed. Dermabrasion is done with a special tool that spins a rough handpiece against the skin to safely slough off the surface of the skin. 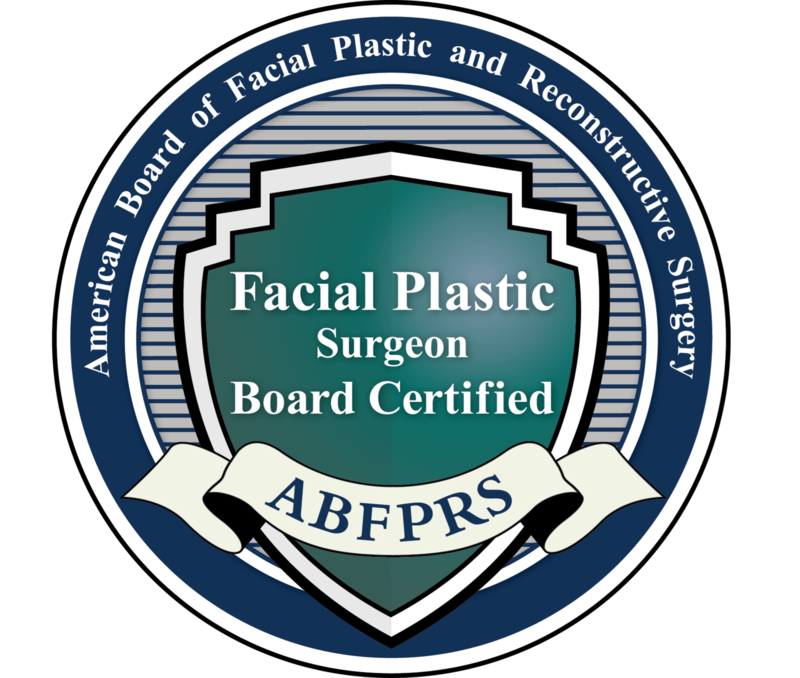 Dermablading and dermaplaning work in a similar manner to dermabrasion but instead using a dermatome or surgical blade that shaves off the damaged skin. Following the treatment, debris will be removed and a moisturizer or serum will be applied the needed areas to protect and nourish your skin. You will be able to leave right after the procedure to resume your normal activities. Following dermabrasion, the treated skin may be red, swollen, and irritated similar to a light sunburn; however, this may be treated with over-the-counter pain medications and creams while the treated skin is healing over the next week. You should be careful to avoid sun exposure and regularly apply sunscreen to your skin because the fresh skin that is exposed by dermabrasion will be sensitive. Many people see notice clearer skin immediately after the procedure that feels smoother and this should be better as the skin heals. To maintain your results, talk to Dr. Saman about how frequently you can schedule dermabrasion and other treatments to achieve your goals. At Saman ENT & Facial Plastic Surgery, we believe in enhancing your natural appearance to optimize your confidence. Noninvasive dermabrasion can uncover smoother skin with reduced spots, scars, lines, wrinkles, and early signs of damage. At your initial consultation with Dr. Masoud Saman, you will get a better explanation of the dermabrasion process plus an examination of your complexion to determine your best treatment plan. To get started down the path toward healthier, clearer skin, contact our Plano, TX office to learn more about the benefits of dermabrasion and plan your treatment.